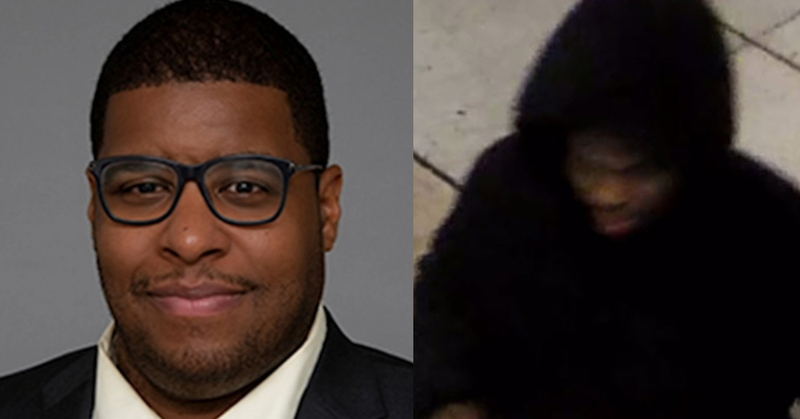 Philadelphia attorney returns to work 3 weeks after being shot: Jeannette Reyes reports during Action News at 5pm on March 25, 2019. CENTER CITY (WPVI) -- Monday morning was the first time Spencer Hill walked through the glass doors at the law offices of Ballard Spahr in Center City since he was shot in the stomach by an armed robber three weeks ago. "It feels good," Spencer Hill. "I'm ready to get back to it. I missed it a lot." "It doesn't surprise me that Spencer wants to get on with it," said Mark Stewart, chairman of Ballard Spahr, LLP. "He's got a lot he wants to accomplish in life." New Video Shows Suspect Who Shot Philadelphia Attorney. Bob Brooks reports during Action News at 5pm on March 14, 2019. The 37-year-old attorney says it was 9:30 p.m. He was heading home from work and just as he turned onto Hazel Avenue from 52nd, he heard someone running behind him. Surveillance video shows the suspect stalking Hill just seconds before the shooting. "The person who was chasing behind me just stopped and there was a second or two of silence and then a gunshot," said Hill. Philadelphia police have released surveillance video of the gunman who allegedly shot a lawyer in West Philadelphia last week. Hill still has the bullet lodged near his liver. Doctors say it was too risky to take it out. In addition to continuing his recovery, Hill and his family are also in the process of moving to a new home. "As of right now, the person who shot me is still on the loose and I have reason to believe that he's still in the neighborhood, so partially because it's just not safe," he said. Philadelphia police have released surveillance video of the gunman who allegely shot a lawyer in West Philadelphia last week. The South Philadelphia native did some work in criminal justice. But says the shooting has changed his perspective on what he wants to focus on moving forward. "I may re-examine whether or not I ever do that kind of work again. Because I know what it feels like to be a victim now," he said. The firm is offering a $10,000 reward for any information leading to an arrest in Hill's case. In the meantime, they are also providing temporary housing while Hill and his family look for a permanent home.